← Netanyahu crying wolf helped push the US into Iraq war – will he be allowed do the same over the Iran Nuclear Deal? 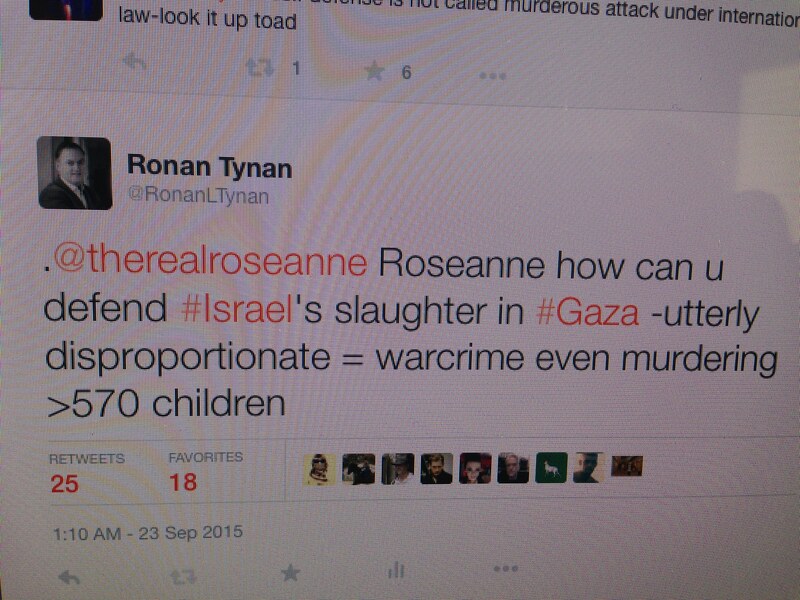 “Look it up toad” – you could imagine the well known comedian Roseanne Barr screaming in a sitcom. 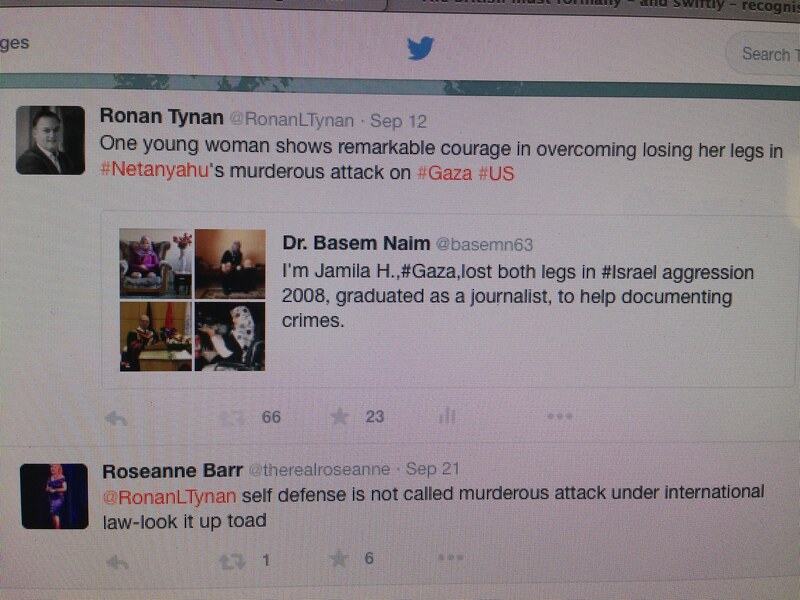 But when she directed such fire at me on Twitter for simply praising the remarkable courage of a young Palestinian girl in seeking to overcome loosing her legs in Netanyahu’s murderous assault on Gaza it was not so funny! Mind you it did bring forcefully home to me she is a member of that misinformed community in the United States who believe Israel can do no wrong. However, it is equally clear that people like Ms. Barr in defending Netanyahu’s warcrimes are boltering an increasingly racist political culture that is turning Israel relentlessly into an apartheid state. A case made in the Guardian in very convincing terms by none other than two of Israel’s most distinguished former diplomats Alon Liel and Ilan Baruch (September 9, 2015).